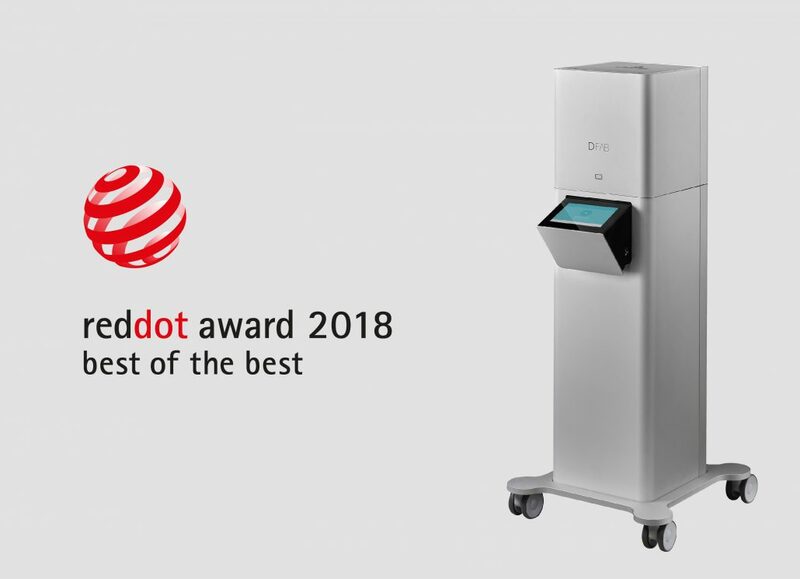 DWS announced today that it won the Red Dot Award for Product Design in the “Best of the Best” category for its DFAB 3D printer. Developed to efficiently produce natural-looking dental prostheses, it is the first ever true chairside 3D printer for dentists and prosthodontists that streamlines workflow and quickly deliver high-precision color-matched prosthetics. Established in 1955, the Red Dot Award determines the best products created each year. In 2018, designers and manufacturers from 59 countries submitted more than 6,300 objects to the competition. A jury comprising roughly 40 members assessed the products individually based on the original. The DFAB’s high speed printing can produce Class IIa restorations (EU certification) in one session without the use of external dental labs and guarantees a 20-minute building time for a 5-element bridge. Using Temporis*, a new class of biocompatible material for long term use, the DFAB’s Photoshade technology can reproduce the color of patients’ teeth, including different shades, to offer a natural look. The DFAB is easy for dentists to use with guided user-interface and ready-to-use cartridges, and don’t cause dust as compared to milling machines. A quiet printer with a small footprint, the DFAB creates prosthetics that are ready for insertion after easy support removal and a quick finishing process. 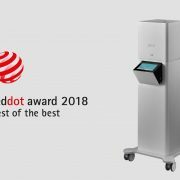 DFAB vince il premio Red Dot Award nella categoria Product Design.